Internet browsers are a necessity whenever you’re surfing the Internet. While a few big companies dominate the market with well-known apps, there are also other similar programs out there that can take up the job. SevenTh Browser Pro is a lightweight app that seeks to take the place of your regular web browser. It comes with a simple interface and a familiar layout that should be easy to use if you’ve ever had contact with a web browser before. 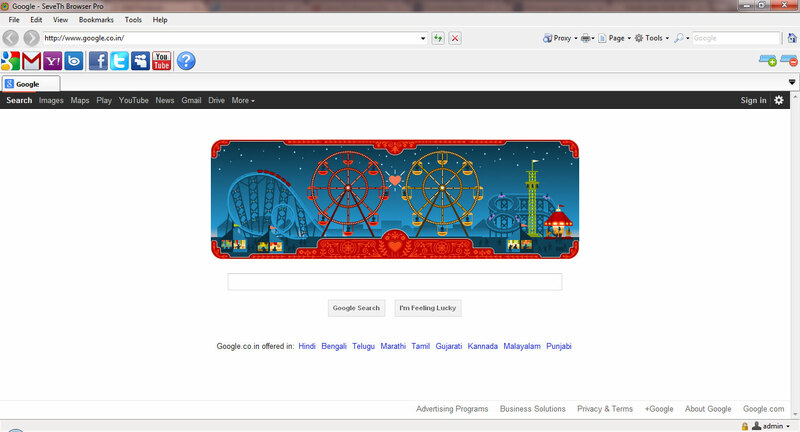 SevenTh Browser Pro is not only web browser is also your life partner. With this application you can manage your friends, relative's, employee’s, client’s accounts with their permissions. You also view the navigation log of your each user. Its main feature is this application supports to set proxy servers with single and multi proxy options. Using that option you can set auto change proxy server timer and auto save output option to save your valuable time and also your work. And it comes with standard Input and outputs excel files that help you to get started. The program provides a few shortcuts to some popular websites, such as search engines (like Google, Yahoo! and Bing), social networks (Facebook, Twitter and MySpace), as well as other websites, YouTube and Wikipedia among them. SevenTh Browser Pro enables you to add and manage bookmarks through a simple interface. Also, as most modern similar programs, you can open up multiple pages in a tab-based interface. By using inbuilt Image Grabber tool you can grab all images on current webpage. It’s a nice tool with time saving feature. You also manage your blocked sites, search providers (like Google, Yahoo, Live Search) and your fishing sites. With the Pop up blocker option you can also blocks the ad pop up’s for each website. For the security reason SevenTh Browser Pro gives you to manage your user rolls, manage new and existing users, user permissions and their navigation logs. You can also export your user's log to MS Excel file or Text file format. The program provides a minimize to tray feature so you can save your task bar space and also hide your application quickly at any time. 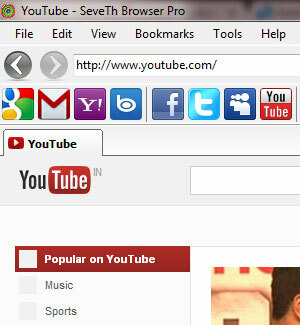 All in all, SevenTh Browser is a nice tool that can help you surf the Internet. Inexperienced users should find this program easy to figure out.